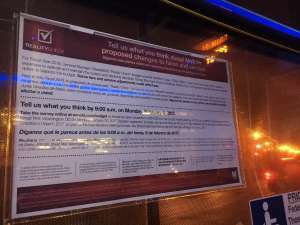 The public has a chance to comment on Metro's plans to slash service and raise fares — measures that could take effect in July once the budget is approved. WASHINGTON – Metro’s plan to slash scheduled service and raise fares is now open for public comment. Riders and others across the region can take an online survey, provide comments in person at stations at designated times over the next week, or attend an open house and public hearing at Metro headquarters at 5 p.m. Monday, Jan. 30. Speakers are required to sign up by 9 p.m., at the latest, but anyone who signs up there will be allowed to speak at the public hearing for up to three minutes. There is also an open house on Jan. 30 where Metro is expected to accept comments between 4:30 and 6:30 p.m.
Metro’s budget proposes across-the-board fare hikes on both rail and bus, the cancellation of a number of bus routes or trips, and significant cuts to scheduled rail service at all times of day —though, with an exception of increased rush-hour service for the Blue Line, due to the end of “Rush Plus” Yellow Line service. The Metro Board has already approved service hour cuts that will take effect when this budget begins in July. The board is expected to approve the full budget in March. Metro has distributed pamphlets to rail riders and has posted signs on buses about the budget surveys. The rail pamphlets provide details on the proposed cuts, while the signs on buses more generally reference fare and service adjustments. Metro staff have told the Metro Board over the past three months that raising fares and cutting service would only modestly add to a continuing ridership decline, and that the cuts could save $24.5 million in salaries and benefits that would be offset by an increase in contractor spending. New Metro Board documents made available ahead of a third Finance Committee work session Thursday show that Metro expects to save an additional $10 million just on reduced power usage by trains, and an additional $39 million in rail and bus expenses. 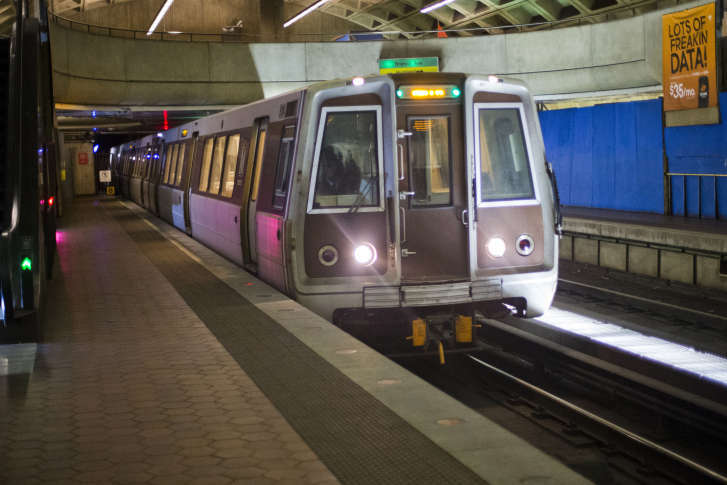 Overall, Metro projects the cuts would be a net $40 million gain for the budget when subtracting out a $29 million decrease in subsidies from jurisdictions and an estimated $10 million in lost fares. Overall, Metro expects to use $21.5 million worth of diesel — 9.9 million gallons — in the fiscal year beginning July 1. Transit system also expects to use $7.3 million worth of gasoline (4.6 million gallons), $2.6 million worth of compressed natural gas, and $42.6 million worth of power (457.8 million KwH). The power usage would be a significant decline over two years ago, while the other usage would tick higher compared to the last full year for which actual usage numbers are available. The budget proposal would increase spending on services, as well as materials and supplies compared to the current fiscal year’s approved budget. It would lead to a significant increase in non-personnel spending after several years where that spending remained flat. Metro considers paratransit services to be a part of non-personnel expenses because it is run by a contractor. New budget projections have reduced the expected savings from a new program that will be tested soon in Maryland that would provide services similar to Uber and Lyft for paratransit users. The final bids were submitted this month. In response to Metro Board questions, Metro staff wrote that the agency would consider privatizing or outsourcing other services if doing so could improve them. Metro has a separate capital budget that pays for many major infrastructure projects.